I guess you could say, I struck a chord. In a span of about 5 days, over 300,000 of you viewed my post on Mean Kids. One hundred and thirteen thousand (113,000) of those views came in one day, repeatedly crashing the poor server that hosts my little blog. To put that in perspective, in all of 2013, my blog had 26,000 views, total. The day before the Mean Kids post went live, I had 76 views. That’s 76 with no zeros after it. I considered just moving on as if nothing odd happened. You know, post something about balance or show you my newly renovated kitchen or something. Everyone can return to your homes now…nothing to see here. How can I not say SOMETHING? I need to say Something. So, here goes my Something. 1.“Sandy, I can’t believe you said, “I hate mean kids.” What is wrong with you? Hate is a strong word. It’s a little shocking when a Christian Mom Blogger begins a post by saying, “I hate mean kids.” Believe it or not, I chose that word on purpose. It wasn’t reckless or irresponsible. As a writer, I observe the world and try to articulate what I see. As a Christian writer, I then position these observations in light a Biblical worldview. There is a visceral response that emerges in a parent when she sees someone else hurt her child. If she sees it happen repeatedly or if the hurt begins to shape her child’s self image, the response is even bigger, more intense. For me, that visceral response looks and feels a lot like hate. I don’t think “hate” is right or okay or justified. It just is. If you read through any other posts on this blog, you will see that I am happy to throw myself under the bus to illustrate how NOT to do something. Most of my posts are born from me doing something terribly wrong and then trying to make it right. I have never told them that it’s okay for them to hate mean kids. I don’t think God hates mean kids. Anyway, I hope most of the people who read this post understand that I was describing a feeling rather than declaring a position against certain children. But just in case you didn’t, I want to say emphatically, IT IS WRONG AND BAD AND SINFUL AND COMPLETELY DESTRUCTIVE TO HATE MEAN KIDS. Please don’t hate mean kids. 2.Sandy, what is up with calling this poor child a “Mean Kid,” anyway? Don’t you know that labels are harmful? How can you define him by his sin? What is wrong with you? Yes, I understand that labeling children is harmful, but I chose to name the kid in the story “Mean Kid” because I wanted him to represent all Mean Kids. When you read this post, I want you to see the child in YOUR son’s school who mocked YOUR daughter on the playground. Titles like “Mean Kid,” “Mean Girl,” “Bully,” and the like, are commonly used by psychologists, the media and schools to describe a certain type of aggressive and manipulative behavior. I was using it in the same way. When I say to my son, “Don’t ever be the Mean Kid,” he knows exactly what I’m saying. 3.Sandy, where’s the love and grace for this Mean Kid? How dare you “attack” him! Shouldn’t your son have extended forgiveness? Isn’t that the true Christian response? I do not find this approach to be “unloving” at all. Confrontation and love are not opposites. Sometimes the most loving and grace-filled thing we can say to someone is, “No. That hurts” or “Stop it.” In fact, that is exactly what Jesus told us to do. The actual confrontation can be the very thing that wins them over to Christ! Go figure. It doesn’t always work out this way, but in our case, it did. 4.Sandy, it is wrong for you to step in and teach your son that you will fight all his battles for him. You should have let him handle it himself. I am not a parenting expert. I am not an anti-bullying expert. I am, however, an avid student of my children, and you, yours. I am constantly assessing what they need and how to meet those needs, and you are doing the same thing with your kids. You alone will know when it’s time to step in and when it’s time to step back. My job as Mom is to equip my children, so that by the time they fly from my nest, they are fully reliant on God and fully able to thrive in the real world without my intervention. In this particular case, my son (who is still a CHILD) needed an advocate. Given the chance to rewind, I would have handled it in a similar way. Though, I probably would have approached the parents along with my son, introduced myself, and had more of a discussion. Next time, I will do that. 5.Sandy, someday your kids will be mean to someone else and then you’ll be sorry you were so harsh with Mean Kid. I agree we all have the capacity to be mean, my children included. The more my son is picked on, the more I see the capacity grow in him to repeat the cycle. That is precisely why I stressed to him the importance of NEVER being the Mean Kid. I’m a giant advocate for nipping my children’s Meanness in the bud at the earliest possible age and as often as necessary. I believe how we treat others is paramount. More important than just about anything. We need to help our children recognize what role, if any, they play in how other people treat them. If my son is doing something to provoke another child and that child lashes out, I expect my son to take full responsibility for his actions. Part of maturity is owning our contribution (good and bad) to all relationships, and striving to minimize our negative contribution. This issue is huge and we’ve barely touched the surface. I have not even begun to share the extensive issues with Mean Girls we have navigated with my teen-aged daughter—and, as I have permission from her to do so, I will. I cringe when I consider that my youngest daughter—whose world consists primarily of princesses and rainbows—will someday be called a name or excluded from a group because of the color of her skin. So, for now, I want to extend my heart-felt compassion to every child who has endured the wrath of the Mean Kid, and to every parent who, with racing heart, has marched into a school or onto a playground or out the back door to confront it. I applaud you. You are doing an amazing job. And also, to every parent of the Mean Kid…As so many of you pointed out, sometimes he is dealing with a spectrum disorder or mental illness, and in the background is a loving parent diligently training that child appropriate peer interaction. As a Mom of an ADHD child, I link arms with you, too. I get it. I sincerely pray that something I wrote sparks a change, and that maybe a hurting child will emerge stronger and bolder and more Christ-like than before we met. Click here to read What to do When Someone is Mean to Your Child. Sandy, although this was a great post with lots of good stuff, as a fellow blogger/writer/speaker I’m all hung up on the first paragraph. I am SO PROUD OF YOU! So excited for you! So blessed by you! And so glad the rest of the world is finally figuring out how super-awesome you are! Go, Sandy, Go!!! Look I want to first say something to you sandy i have now read 2 articles by you. Im very impressed. I do love politics and read alot of that relm. But my wife shared this with me on facebook. Then obviously i had to read the follow up. May i say what you did for your son is right!! He must know we are standing with them not for them and you did what he needed you to do. Now to all the people who were mean kids to you in the responses to this. And please feel free to publish this for them to read. Hypocrisy is an evil and interesting animal. I love debate but i see alot of hypocrisy in the responses. On one hand you tell her YOU NEED A MORE CHRISTIAN RESPONSE. Yet what are you doing? Berating her as if she were beneath you. Or telling her you are a mean person for calling a kid mean that was mean. Now i am paraphrasing of course but you get the point. This one especially “someday your kids will be mean to someone else and then you’ll be sorry you were so harsh with Mean Kid”.So may i ask the right response is to tell someone one day you will be sorry because they were as you say “mean” to the kid. The point to this is simply this if your first response to something were someone puts there life trials out there for our benefit is that kind of stuff then you didn’t read this right and you need to read it again. Sandy has no reason to have to write a blog about why she used words we are all adults. But of course some a little more mature than others. Read it for what it is a story that may help you in your life. If it does great but if it doesn’t great. But alot of people don’t write about these things for this exact reason, when you take on tough subjects someone always has something to say. Well i say great article sandy and thank you. If you want my take sandy on this it is simply this, always think what would Jesus do. What he would do is not easy but it is right. There are times for words and there are times for actions and we must be our own judge. We must judge ourselves first before we judge others, because we are the ones who have to look at ourselves in the eye in the mirror at night before we go to bed. I just want you to know that I have a beef with all of that critisism that you got about your original post. As a Christian mom I don’t see a darned thing wrong with standing up for your sweet son, talking to the mean kid, the coach, or the parent. Yes we should be loving to others, yes we should be forgiving of others, yes we should be a million things better than most of us probably are, but before we are any of those things we are parents. That was among the first things that God commanded Adam and Eve to be, they were told to go forth and have children (and I think we can insinuate that they were expected to care for them as well as they could). And so before you are to worry about any other child you are to worry about yours. I applaude your efforts and your approach to dealing with something that was really hard, it is never easy to deal with those kinds of situations. And I love that you followed up and taught him one of the most valuable lessons he could learn, sometimes things aren’t how you want them to be but God will always love you. And don’t you be the one making life hard on others. What a good Mom your son has. Thank you. You should have seen the comments I DELETED! Holy cow. Talk about Mean! And those are some of the mean kids I grew up with, still mean as ever, because no one told them not to be! Thank You! Sandy did a great job. PERSONALLY, I welcomed your honesty and understood where you were coming from. I didn’t take the “hate” word so to heart. It is a blog between adults. Obviously, you are not a hateful person but just the opposite. We all could go back after we wrote something or said something and choose another word. I am impressed at your loving, thoughtful, and biblical response to the criticism. Thank you, Kelly. I <3 you. Well now I have to go back and read those comments from adult bullies so I can stick up for my friend Sandy! Ha! I’m always amazed at what we expect our kids to handle, where, in the adult working world, Human Resources would be pulled in so fast to eliminate any kind of harassment our heads would spin. 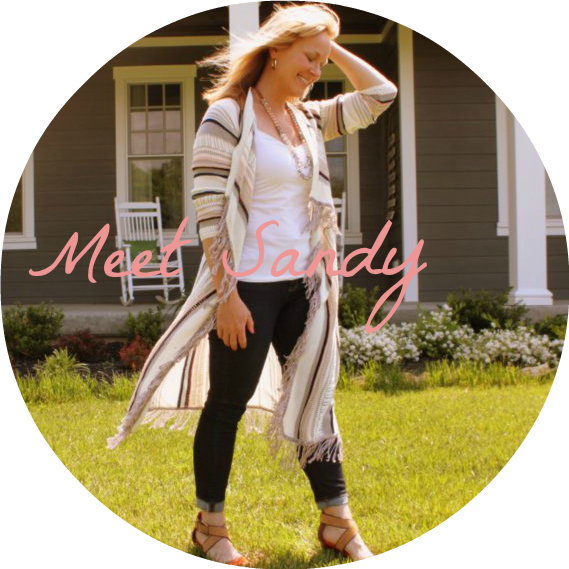 Bravo to you, Sandy – you did a fabulous job as a parent and a blogger! For starters, fabulous set of posts. Makes me want to start blogging myself. I think you nailed the whole thing. 1. Chastize. The -ize (-ise if you prefer) makes an action that creates the first half of the word. To ‘chastize’ is not the same as punish, but rather to make chaste, or pure. I feel there was at least some of that in your heart in that original moment with the “Mean Kid”…. 2. Discipline. Disciple comes from roots that deal with learning. A disciple is one who learns from a master (capital D, capital M). To ‘discipline’ is (again) not to punish, but to teach. Again, I feel there was at least some of that in your heart in that first moment. Mine are toddlers. I’m spending a lot of time watching and listening and trying to learn so that I can defend them and teach them when those moments come, because they will come. Keep doing what you do. And thank you for sharing it here. Your comment made me all giddy inside–not because you complimented me but because you dissected words. One day there was a girl in her sophomore year in high school who was being repeatedly harassed (mildly yet daily) by a girl whose locker was above hers. The sophomore became increasingly upset about it to the point of tears. The mom had given her all kinds of great boundary setting advice. But one day the mom had it with the mean girl. She suggested another tactic to her daughter. It was confrontational. It worked. After that the “mean girl” was very nice…yea even friendly…to the mom’s daughter. Thank you for this post and the last post. My son is 6 and just beginning to deal with these issues. I shared your first post on Facebook and I’ve already had several discussions with other moms who’s children are being bullied at school. We all have the same frustration, how can we get the schools to help? You have a great blog and I look forward to reading more. Thank you, Kim. It thrills me to no end that something I wrote is sparking so many discussions. I think some people who say that have been so permissive with their kids that they have become mean (from what I have seen). Then, they want us to be understanding of their children’s meanness. They don’t want to confront their own mean kids because they are, well, mean, even to the parents. So, the next thing for them to do is to try to get us to be kind, understanding, sympathetic of their children’s meanness. In short, they want us to enable it, like the parent is doing. Not a good idea. At some point someone must, in the best interest of the mean child, confront him. Only then will he learn. Hard, even sad, truth, but it is a truth (or at least, a truism). Thank you, Warren. I, for one, would expect someone to confront my child if he or she was taunting another child. Not everyone sees it that way, though. Great follow-up, Sandy! I just got linked to your blog and love the humor you put into your entries, even when they are tough situations. Anne, sometimes if I don’t laugh, I’ll cry. 🙂 Thanks for being a new follower. Wonderful follow-up… I agree. You handled the criticism here with grace and dignity and respect. Very constructive. I can say that I’ve been the victim of the “Mean Kids” LOTS of times… but a few times, I WAS the Mean Kid! I can think back on 2 of my victims… oh, sorry, make that 3! And I cringe at the thought of the things I did and said to those poor kids. And the minute my mom found out, I was lectured, forced to apologize and then grounded to my room (and this was years ago… no TV or games in the room… no, just a bed, dresser and plenty of books)! I appreciate the Biblical references to the way God handles our wrong behaviors… whether through confrontation or being eaten by bears! Yikes! Forgiveness is ours for the asking, but first we have to be confronted with and acknowledge our sin. 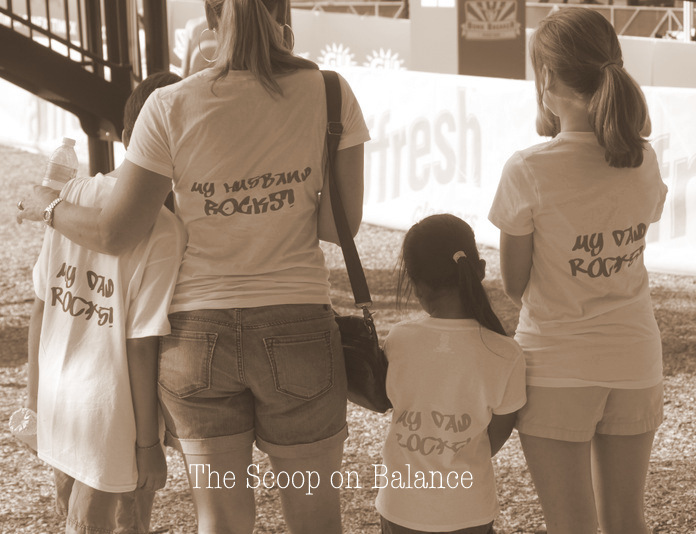 I love my mother for setting me straight… and now, as a mom, I have both stood up for my kids when they were being treated unfairly, and I’ve made them apologize when they were the ones doing wrong. I’ve also talked them through how to handle themselves when someone is being mean to them or someone around them. I loved the end of your last post where you talked about the “teachable moment” between you and your son and laid out the points you made with him. So well put! So thanks again! I can remember many times I was mean to girls in elementary school because my best friend was very popular and I wanted her to like me. It was terrible and I carried the guilt of that into adulthood, until I had an opportunity to apologize to the girls. So much of my parenting strategies are born from my own failures. Ask yourself this….why is this child “a mean kid?”….they aren’t born that way…so, what in the world made this child “mean”?….interesting question….. Kids are mean for a reason. Sometimes, it’s because it makes them feel strong. Sometimes, they are going along with the crowd to be accepted. Sometimes, it’s because no one ever told them it was wrong to treat people that way. Sometimes, it’s because someone has been mean to them. But almost NEVER is it because of you. Don’t ever define yourself based on the opinion of the Mean Kid. And because this was not intended to be a dissertation on why kids are mean…those explanations only begin to scratch the surface. I’m guessing the reasons are as unique as the children themselves. My 9 year old daughter lost her Daddy who was also a school bus driver, suddenly to cardiac arrest. A month after he passed away, several kids were talking in her presence about him being dead and he couldn’t protect her now, they never liked him, he was a terrible bus driver…..
How would you handle that situation? Of course, the teachers said they had not heard anything but 8 different kids HAD heard it and told their parents who contacted me. I was put off by a “we will monitor the situation” from the principal. Now, 1 year later the same thing is happening again. I am ready to pull her out of and begin homeschooling. I don’t know. First of all, I am so very, very sorry for your loss. How tragic. have no words. If I were in your shoes, after contacting the school (which you did) I would probably get on the phone and call the individual parents of the children involved. Not to get in their face, but to have a conversation. Chances are, these parents do not know their children are saying such hurtful things and would be horrified to find out. Also, these children clearly do not know the impact of what they are saying to or about your daughter and her father–they need an authority figure (preferably their own parents) to enlighten them, instruct them, and lead them in an apology. I would truly take this opportunity to educate the other parents about what a grieving family needs. They may not even know. Most people don’t. (I lost a child and many well-meaning adults said stupid things). I bet if you approach them humbly and broken, the other parents will have compassion on you and your daughter. And unless they are total jerks, I’m guessing these parents will be on it very quickly. If this does not resolve it, I would do whatever I could to be present with my daughter as much as possible to hear what the kids say. This will allow you to approach the kids directly, if need be. And finally, if that does not resolve it, I would remove her from the situation (switch schools, drive her instead of ride the bus, change classes…whatever) until she is healed enough to handle it. Big giant hugs and lots of prayers coming your way for you and your precious girl. I appreciated both of these articles about Mean Kids. Your thoughts are right on target. I simply cannot understand our culture that seems to think that we have a right to criticize and condemn so harshly through digital interaction. Hardly anyone would dare to say such things in person, face to face. In many ways, we all have times of being the Mean Kid–or adult. God bless you for standing up for your children, for teaching them God’s heart, and for dealing with the Mean Adults so graciously without backing down. Please get permission to share your thoughts and advice on Mean Girls! We are beginning to navigate those waters now and I can tell I would love your perspective. As a mom and an educator, I support both of your posts about Mean Kids and now I can’t wait to read more of your blog. Thank you for sharing so openly and honestly! Thanks so very much for both of your posts about “mean kids.” Last school year, my daughter was the repeated target of a bully. Unfortunately for her, as her mother, I did not step in early enough and help her. She’s 13, was in 7th grade and I thought I was doing the right thing by encouraging her to stand up for herself. I was so grateful when the school year ended because she got back to normal. I had not really seen how withdrawn she was during the school year when all this was going on. I made a terrible mistake. I feel terrible about it. Now here in Australia since this school year started in late January, my daughter has developed anxiety and depression. We are seeking treatment to help her and working with the school to put in place interventions to ensure she feels safe at school. But honestly, as her parent, she is my and my husband’s responsibility and we dropped the ball. I can never apologise to her enough and I have told her in great detail that I am sorry. I am on her side and have verbalised that to her now. We are trying to move forward, but now my daughter is suffering because I didn’t step in soon enough. Please let my story be a lesson to parents who are wondering if they should step in to stop a bully or if they should let their child work it out on their own. Parents, step in immediately and learn from my experience. I didn’t help my daughter soon enough and now she is suffering. 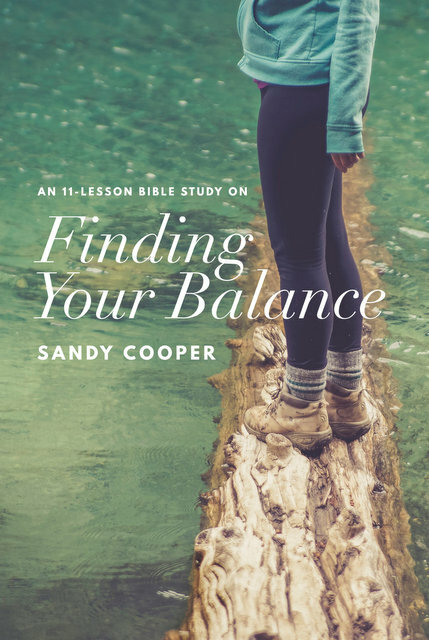 Sandy, I am so grateful to God that I ‘stumbled’ across both of your posts on this subject today. My husband and I have been going back and forth on how to handle this very issue with both of our kids (both adopted from birth, by the way! ), as they’ve reported back to us, on their own, how things are going at school. While I wish my kids could have completely innocent, care-free, pain-free lives, I know that God is using these teachable moments to mold them and shape them to be the people He wants them to be in the future … and we get to be the adoptive parents with front-row seats to cheer for them, cry with them, discipline them, teach them along the way, all to release them, eventually – what a privilege! You are a tremendous resource for parents like me – keep the faith, fight the good fight, sister! 1. There is a difference between a parent stepping in when the ‘meanness’ is witnessed. When my kids come home and tell me about something that happened at school earlier that day, or a while ago (let’s be honest, they don’t always share these things right away), I take that as my chance from God to have a teachable moment about it with my children, but not necessarily to have to go back and rehash it all with the other person right then and there. However, if I were to actually overhear or see the meanness, I would probably take that as my opportunity from God to be a part of the instructive process for both my kid and the other kid, or the family of the other kid right then and there. I think you handled the basketball game incident perfectly because it was ‘in the moment’ and it gave the other kid a chance to learn immediately. You made a positive difference in his life! Of course, with repeated offenses, or when safety is in question, I would absolutely handle situations in person, no matter how far back in time I have to reach. =) So these ‘mean kids’ are teaching me how to apply wisdom in timing, from situation to situation. 2. As with all things parental, I’m learning that as God has brought up these opportunities in my kids’ lives, He is also teaching me how I, personally, am going to respond to this with my own heart. It’s amazing (and good, in a way) how quickly my blood pressure can rise in the moment of finding out that someone has hurt my child’s feelings … then the Holy Spirit so predictably steps in and reminds me that what I’m teaching my child is how I am supposed to respond when someone hurts ME! Yikes!!! I hate that, but oh, how I need it. =) So, these ‘mean kids’ are teaching me how to feel free to be myself, but to submit that self to what God is trying to teach me. Your mean kid post brought me to your blog. I’ve been reading through some of your old posts. I really enjoy your writing and your insights. Even though I don’t believe in God, I can relate to a lot of what you write, especially about parenting, struggling with to-do lists and organization. Keep up the great work. Deborah Mitchell recently posted..Spring break? Travel blogs help you pack your bags. I’m a little late to the conversation but I wanted to say a few things. First off great job on how you handled that kid being mean. Second we are Christians and we are supposed to be forgiving. But that does NOT mean stand by and let our kids get treated badly. Kids learn from example and its important for someone to stop bad behavior when we see it so it doesn’t continue. Also thank you for writing this. I will spare you the details but my son is in Christian school and is being picked on. One of the mothers of my sons classmates heard her son make several mean comments to my son and just gave me a dirty look in return. I’m so hurt by how this behavior is allowed to happen all year long by the kids and the parents themselves allow it. I wish I had said something to them but I didn’t. Thank you for writing this and empowering me to stand up for my children. Ironically I put my son in Christian school so he wouldn’t be bullied. I thought it would be a smaller school so it would be easier for him to make friends. But that is not the case. Its absolutely heartbreaking to see that hurt look on your child’s face after something like this happens. I wish there was something I could do. I will be giving him the same speech you gave your son. The only thing necessary for evil to triumph is for good men to do nothing. Something to that effect. Good for you to stop someone from being a bully. It’s so funny I found these articles by looking up “how do kids become mean”. Unfortunately we are dealing with a kid that just moved in next door. It seems like I have given these parents every opportunity to step in and correct their child, but no, they just let him keep on going. He doesn’t hurt my child, but more like steamrolls at every turn. He hurts my son’s feelings on a regular basis. But then his mother almost seems as if she is aiding him in this. My son has friends over and I encourage them to all pkay together because the other child is new. He had a friend over and they went inside. Another boy comes over that my son is friends with and this “mean boy” tells my son he wants to play with the other child by himself. My son is very sensitive and this hurts his feelings. All my son wants to do is play, and all this kid does is try to manipulate him. If he doesn’t get his way he goes home. All of this is upsetting to me because it is affecting my son’s self esteem. After reading your blog, I think when the child wants to play with kids on his own, I will take my son down the street to play basketball. I can’t yell at this other kid, we have to live next to these people for the next 2 yrs. I just don’t understand when parents refuse to correct bad behavior. I think eventually enough people/school will see this bad behavior, lack of self control and his inability to be nice to other children and will address his parents with it. Until then I just have to find ways to limit my son’s exposure to this mean boy. Thanks so much, I needed this. I read the post that led to this one, and quite frankly, I’m with you on all counts. I have a special needs kid, and have had more than my fair share of encounters with mean kids. I have and will continue to step in for my sons when I need to or when I think the situation warrants. I have seen first hand the results of not intervening when the mean kids attack, and 20+ years later, the wounds are still there and still deep. The anger is not directed at the mean kid any more, though, but rather at the parent who refused to step in and defend her child and instead rationalized the bully’s behavior. To see a grown woman cry over remembering her mother not defending her when it counted to her the most is something that sticks with you, and is something that you never want to see in your own children as long as you live. The intense, lasting feelings of abandonment and betrayal that I have witnessed in this person are all the proof I need that it DOES matter if you don’t defend your children against the mean kids, and that it ISN’T okay to always leave things for kids to “work out themselves.” I will not be silent. I will defend my children. I cannot believe you copped flack from the last post … I just googled what to do when your kids are teased as I just picked up my son from a sleep over party at 3 in the morning because he was upset about being teased about about something to do with his appearance. I loved your article and made notes from it to talk to my son when he wakes up. You are awesome. I hated finding out long after the fact about mean kids my children encountered. My older sister was horribly bullied by a boy in church and at school. We found out years after the fact that our father went to him and his dad and told him to leave her alone. That’s good parenting. Thank you for the great blog and how carefully you chose your words. I personally thing more parents, teachers, coaches and adults in general need to call kids (and adults) out on poor behavior. When we were young I think part of the reason we behaved in public was being afraid ANY adult would get mad and we’d be in trouble. These days it seems like everyone is afraid to say something to someone else s kids. I know I think twice and I don’t want to get the wrath of Mom or Dad (mean kids with mean parents), but at some point our society has to say this is NOT OK! I for one want to know if my kid is misbehaving, but I’ve seen many parents take offense to anyone who dares say a negative thing (true or not) about their darling child. As long as adults are respectful, truthful and polite, confront away! Thanks! Kelli D recently posted..Why a blog? Thoroughly enjoyed reading both of these posts. Keep it up! About tolerance… there are just some things that should not BE tolerated. If a child goes through life being bullied, she may one day be in a relationship where she allows herself to be harmed. And vice versa for the Mean Kid. We really do NOT want to allow this type of behaviour, to enable, as one commenter said. Because of the mean girls in my daughter’s school we have decided to homeschool her. She is 10. I hope it’s not too late for her self-esteem and self-concept. I love both your posts. The teachers’ responses compared to parents’ responses reveal a lot. I love the way you handled the bullying incident and how you have articulated this issue. You are an inspiration to parents everywhere. 2. it has a profound effect on OUR children!!! And for this reason alone I believe parents should take a stand. Because giving our children the feeling that we love and support them is way way way waaaay more important than any effect we may (or may not) have on the mean kids. I speak from experience. I have met with my daughter’s school principal and her teachers, and I have written letters. I see how this makes my daughter feel and it’s a wonderful thing. Unfortunately her school has an ineffectual policy about bullying, (which I understand more clearly after reading some of the educators’ comments following your first post), so the mean girl stuff continues. Hence the decision to homeschool. Thank your for your brave and honest writing. It takes strength to reveal your own mistakes and imperfections in your writing, in order to be truly honest and help others. People who pretend to be perfect in order to impress readers, write from a place of fear. You obviously write from a place of love. I look forward to reading anything you write about mean girls. Thank you for your thoughtful and generous comment. I am so sorry you’ve had to remove your 10 year old from the school system because of mean kids. Something is terribly wrong with that. I haven’t read all the comments (too many! haha! ), but I wanted to say thank you for your post. I was “that” mom who stood up to a Mean Kid this weekend when she had my daughter sobbing at a dance competition (note: this is a girl from my daughter’s team – not a competitor!). Third time in a row this has happened. I tried talking to the parents, but mom doesn’t think her daughter can do anything wrong, so it’s not her fault. The teachers won’t step in because they didn’t see it happen. Ignoring, avoiding, etc. have all failed. I reached the end of my rope and had to step in (as nicely as possible) and tell the girl not to talk to my daughter that way. What happened? Mom and 2 other moms from the studio blew up at ME for confronting the daughter. I left the studio feeling like the worst mom in the world, like the only one who thought it was OK to stand up for my daughter. I have felt like a failure mom and I’m ruining my daughter’s life for the last 36 hours. Thank you for this post because it shows me I’m not alone in my desire to stand up for my daughter when it comes down to it. This was exactly what I needed today. You did the absolute right thing. You tried to talk to the mom. You tried to involve the teachers. It is okay to protect your daughter. Equip her to handle future situations, too, since you won’t always be there to help. But, your top priority is loving, protecting and providing for her. Sometimes that simply means stepping in and saying something. You are a wonderful mom. Keep up the great work. Sandy, thanks so much for your articles on this subject. Your wisdom and thoughtfulness on how to approach this have been most helpful. Karen and I have struggled for years with other parents not disciplining their children. Things like toddlers banging their hands on our big screen tv and their parents just watching them do that while not being bothered to stop their conversation. I found it embarrassing to be the one telling their children “no” when their parents were right there watching it happen. I am not sure what happened over the years where some parent thinks that their kid does nothing wrong and that anyone who challenges to attempt to discipline their kids is attacking them. When I grew up, if another parent told my parents I did something wrong I would get punished by my parents because they knew I was not flawless and perfect. This is a true story about my neighbor’s kid and how different parents will believe what they want to believe about their kid regardless of the facts. Their child was prank phone calling my house and when we showed their parents the caller ID they said it was not possible and he was not home at that time. Wow! This makes it that much more intimidating to address the poor behavior. Our oldest is in home school due to mean kids, and our middle child is dealing with means kids in a private christian school. After giving him advise on how to handle the situation himself, your post has given me the insight to realize that it’s ok to step in. Your scripture and biblical approach is just what I needed. Thank you! Jeff, Thank you for taking the time to read and comment. It continues to sadden me when I hear that you (and others) needed to pull your child out of school altogether just to avoid the Mean Kids. I applaud you for doing what you need to do to protect your child. I think this article AND the first article ROCKS. Ignore the haters and move on. I want to know where in the Bible it says them at being a Christian means being a doormat. I appreciate this clarifying post, but I’m firmly in the camp that agrees with every single word of your original post. Your child is your first priority and yeah maybe the mean kid was dealing with issues but you must take care of your kid first, at all times in all things. Never apologize for taking care of your children. Thank you, thank you, thank you!! I have read and reread your original post and this one. It showed up again last night in my Facebook Timehop from two years ago when I first shared it and it was like a sign from God. We have been dealing with the same Mean kids since kindergarten (my daughter is now in 3rd grade) and since involving the teachers and talking to the parents it has gotten a little better. Sometimes it is different kids, but for the most part it is the same group. At first it hurt because my daughter believed with her whole, loving heart that they were her best friends in the whole world! It has been a struggle for me to give her the Christian answer everytime!! Friends don’t make you feel bad, but you should be nice to everyone is a tough lesson to grasp and teach. but last night she comes to me and says, “Mom, what do I do? My bully is being bullied and I want to help her!” Ugh the Momma-bear struggle!! I told her we should pray for guidance and that I would talk to her about it in the morning, one because I couldn’t give her a very Christian answer at that very moment!! Then I sat down after putting her to bed to check Facebook and there it was! So I reread it and read your original points to her this morning. Thanking God for the answered pray and you for letting Him use your talents to speak to me. I think you have done well by your child. I think bullying IS one of those situations where a child is quickly in over his head, and an adult needs to step in. I live my adult life with schizophrenia, and a major contributing factor in my mental illness is that I was bullied ceaselessly as a child. My life, even at nearly 50 years of age is still haunted by nightmares of being bullied, even after all these years. Your quick decisive action might have spared your son a similar fate, I hope not, but I’m living proof that can happen. As far as your use of the word hate, I can see that it would be controversial with your readership. It might be easier to express as ‘I hate meanness’ as opposed to ‘I hate mean kids,’ but that is a stylistic difference, and ‘I hate mean kids’ grabs the attention quicker. Anyway, I think you did the correct thing, or as near to the correct thing as anyone might do under the pressure of the moment. Pamela recently posted..Do You Hear What I Hear? After reading both blogs…Loved the 1st…loved even more the 2nd! My son has been the victim of the mean kids and I can’t wait to share what you wrote in your 1st blog–it’s what I’ve try to teach him only articulated MUCH better! Unfortunately (said) son has also been the “mean kid” with out even realizing it as he has some special issues. Thank you for addressing kids on “the spectrum” or with mental issues, and especially their parents, who are trying every day to raise a positive, happy, loving child. Kuddos to you! As for your use of the word “hate,”–typically not a choice word in our house, but as a mom who has experienced her son being bullied, I can see exactly why the use and would say the same! Readers need to lighten up and get to the heart of your message–not nit-pick at your verbiage! Thank you for this post. It’s difficult when your child comes home hurt when another child is cruel with their words. I am working thru this with mine. He is the youngest of four and it never gets easier knowing how to handle the hurt. Reading this post has calmed my anger. Now I feel I have direction and the tools to move forward to help my son with the neighborhood child who uses words to hurt. I just wanted to say that even though you are a Christian, human emotions like hate,are not beneath you. At least you were honest about it and I think the being a Christian comes in, in the handling of that hate which I think you managed very well. Being a Christian doesn’t mean you stop being human. I have read both blogs on the Mean Kid. I agree with you whole heartedly! I wish other parents would make their children apologize for bullying and being the mean kid, but sadly in this day and age some parents just don’t see their child as the mean kid. Their child “does nothing wrong and is perfect in all ways”. Truth be told their kids act one way around them and another to everybody else. You can tell them what their child did, but they wouldn’t believe you and then try and turn it around on your kid in some way like your kid was the one who did wrong. Their kids are posting scripture on Facebook for which people think they are just the best kids and then on Twitter posting profanity, but the Facebook people don’t see that. Anyway, I’m getting off subject. I just wish the parents of the mean kids would own up to it. I’ve told my kids just like you did, don’t be the Mean Kid. You know what it feels like. Don’t do it. And if I ever found out my kid was being the mean kid, I would make them apologize. It amazes me that so many parents are in denial or are just happy that their kids aren’t the target. I have seen so many watch their kids being jerks and don’t address it. As adults, we know that this too shall pass, but what do you say when your kid wants to know WHEN?! After being told to just keep being yourself and things will work out for years, his optimism and self confidence is fading. I hope mine can hold on and get through high school and on to college where the silly social standings of high school truly don’t matter. Thanks for the article – i plan on sharing it with him.